A question we got from a client recently was this: “I’m slated to speak at a roundtable on a new topic that I’m excited about (even though it’s not really my current area of expertise), but one of my bigger clients just invited me to a dinner with their new VP and although it’s long trip for just a dinner, maybe I need to go? They both might be good opportunities, but then again maybe nothing will come of either one. What should I do?” What would you do? Questions like this are common because prioritizing business development is one of the biggest revenue generation struggles many professionals face. You want to be a rainmaker and you know you should be doing more business development, but finding the time to fit it into an already busy schedule is understandably hard. And even if you want to prioritize business development, another common dilemma for aspiring rainmakers is deciding what to focus on out of the laundry list of those business development activities that seem to serve no other purpose other than making professionals feel guilty! Fortunately, just setting some metrics is a simple way to prioritize business development so that you are consistently laying the groundwork for and building on long-term professional relationships. (Re)Post 1 article with commentary to LinkedIn (weekly). What you may notice about these metrics is how simple and not terribly time-consuming they are. Unlike your annual business development goals, monthly or weekly metrics are meant to be a running checklist to ensure you are staying on track to reach those goals. They provide an effective way to hold yourself accountable for regularly undertaking the interim steps necessary to reach your goals. By focusing on activities that meet the Three Es, you can be secure in the knowledge you are spending your time wisely on activities that will further your individual business development goals. Effective: A metric must be effective, otherwise don’t bother wasting your valuable time on it. Consider both your rainmaking goals and your personal strengths when assessing effectiveness. Do you hate going to networking events because you have social anxiety? Then “attending 1 industry mixer” will not be an effective metric for you. Have you built a sizeable network of connections on LinkedIn? Then re-posting one article per week that’s related to your area of practice with commentary highlighting why it’s noteworthy is probably a more effective metric for you. Efficient: Time is money, especially when you bill by the hour! Using your business development time in the most efficient way possible will enable you to get more results with less effort. 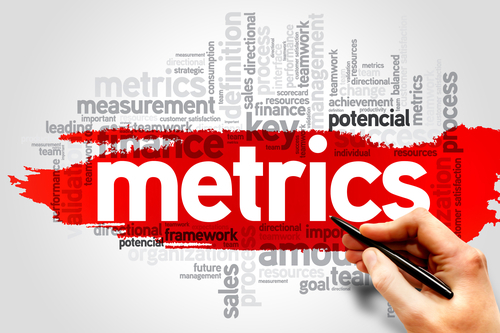 Efficiency comes from focusing on metrics that are closely tied to your goals and from tracking your efforts so that as soon as it becomes apparent a particular strategy isn’t effective you can reassess. For example, I might set “attend local-chapter AICPA meetings (to increase referrals from CPAs)” as metric that is closely tied to growing my estate planning practice. If after attending several I realize I am not making any connections at these meetings, I know that this isn’t an efficient use of my time after all and I can move on to something else. Enjoyable: We say this all the time regarding business development: if it isn’t fun, why do it? Setting a metric to speak at 2 conferences a year when you hate public speaking doesn’t make any sense. Finding business development activities that you enjoy will go far towards ensuring you actually undertake those activities! There are many ways to develop and deepen relationships, choose a path that speaks to your strengths and comfort level. Then not only will you do it, you will do it well. Prioritize your rainmaking activities by simply developing a set of metrics that is effective, efficient and enjoyable. Write them down, add them to your calendar, hang them by your computer, add them to your timesheets—anything that will ensure you are regularly reminded of your commitment. Business development isn’t always easy, but metrics are a simple way to help you reach your goals. For more tips on setting metrics, check out Rainmaking Made Simple by Mark Maraia—the essential handbook for successful rainmakers—or email me to set up a no obligation call to discuss some metrics that might make sense for your practice. Oh, and skip the dinner (but offer up a one on one meeting with the new VP to bring them up to speed on outstanding issues and other insights). Go speak about what excites you, prepared to make the most of the opportunity, because authentically enjoying what you’re doing can be a rainmaker’s best calling card.